Everything you need to help advocate for refugees. 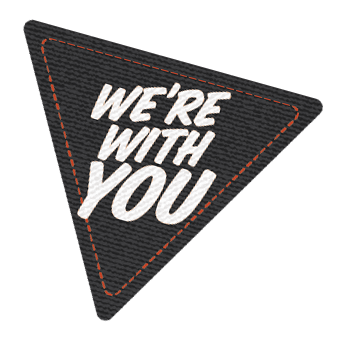 Joining the 40 Hour Famine Backpack Challenge is your first step towards supporting vulnerable people around the world – but there is so much more we can do together. 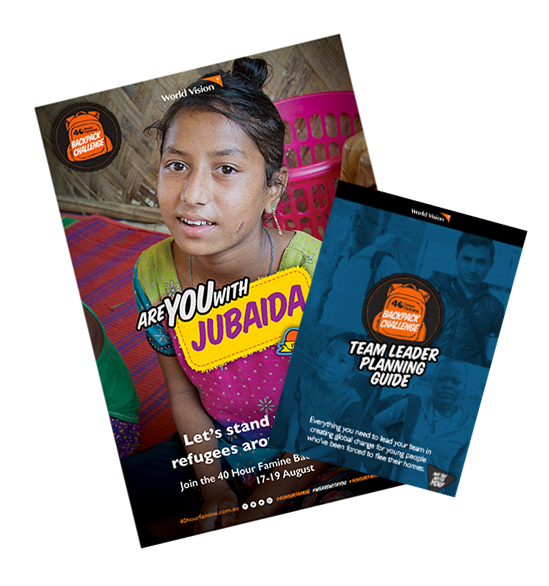 World Vision believes that advocating for justice will transform lives, and young leaders like you have the power the create positive change – not only in people’s lives right now, but for future generations. We deliver lasting change for vulnerable people by advocating at the local, national and global levels. We promote justice, equality and a fair go for all by working to change policies, attitudes and education about human and child rights. We are a voice for those struggling to be heard. And every voice for justice makes a difference. Join our movement for global equality and make your voice count. We work in 32 countries across Australia, Asia and the Pacific, the Middle East, and Africa. This map, shows some of the work we are doing with refugees and countries hosting refugees. Sign our Safe and Free Petition to advocate for the basic human rights of safety and freedom for all people. You'll send a message to the Prime Minister of Australia that as a nation, we should do more for those in need through an increase to the Australian Aid budget. Australian Aid is funding that the Australian Government uses to support developing countries to tackle poverty, inequality and climate change. It's now been cut five years in a row. Sign the petition now. Together, we can make a difference. More people are displaced right now than at any time in recorded history. No one chooses to be displaced; leaving home is always a last resort. This isn't a political question: it's a humanitarian necessity. Everyone has the right to live in peace. This is the biggest humanitarian challenge of our time and is is the poorest countries on Earth that are impacted the most. Eighty five percent of the world's refugees are hosted by developing countries. Australia should increase its aid to those developing countries so that they can provide shelter, education, health services and access to work for refugees, while still providing for the needs of its own population. This is a global challenge and we all need to do our fair share to help. Thank you for lending your voice to the movement to create sustainable change for millions of vulnerable people. Your support takes us one step closer to achieving our goal. It is our hope that through advocacy, the need for aid and emergency assistance will go down over time, as more people are empowered and enabled to lift themselves from poverty. The need to increase international aid has never been greater, but Australia's contribution is at an historic low. This does no reflect most Australian's values. Signing the petition is the first step to creating change - but there is always more we can do. Check out our Facebook group to find out how you can be an ongoing voice for safety and freedom for all people. VGen is made up of young people aged 15 to 25 who want to make a difference and are empowered to take action on issues of global poverty and injustice. VGen's youth advocates are changing the world through grassroots campaigning – one community at a time. Become a youth advocate and help tackle the issues affecting millions of vulnerable people around the world.